THIS ISNT WARCRAFT IN SPACE YOU KNOW! The weakest of the bunch in most ways but it has Raynor and probably the strongest story of the bunch. This is preference, but I didn’t much care for the Amon or Xel Naga storyline. I was let down by the tease in Brood War that was like, Oh boy kids, these hybrids. Lemme tell ya, this is a big deal! and then it was like 10 of them as just “kind of strong” enemies. There wasn’t any real reason to making the hybrids unless I missed a key story component. Even if I did, Amon was still kind of a mustache twirling villain with no real motivation for his actions. Pretty good plot and pacing. Characters A+ - Tychus, Raynor, Horner, Mira Han. Good stuff! There were just too many missions where you were in essence forced to mass a unit the game wanted you to mass. I played on hard and there was that one mission where they introduced vikings where I beat my head against the wall trying to beat it ANY OTHER WAY but it was impossible. The weakest of the bunch simply because I just didn’t care. From the instant Kerrigan was turned human you knew pretty much exactly how this was going to play out. The supporting cast with the exception of Abathur was nonsense. C’mon, you give me Stukov for what purpose? He was very much dead. He done explode in Brood War. It makes little sense that Duran would take him and save him when the whole place was falling down around his ears. Stupid. The mission structure was a little weird too - where you’d planet hop. Thankfully they got rid of the “YOU MUST MASS THIS UNIT” missions for the most part. Look, I loved Glynnis as much as the next person but Tricia acquits herself well here. I think her take on Kerrigan is pretty good. The protoss on the other hand...but we’ll get there. many missions feel like filler to pad out the need for a sixty dollar game. Just overall kind of blah although that’s not a technical quantifiable term. The protoss finish off pretty strong. I enjoyed their gameplay the most utilizing the Spear of Adun to drop down reinforcements and then warping in a bunch of units to the newly created pylon. It was fun, it felt quick except. Except. Every single mission starts you so slowly. I didn’t get it. There were zerg and terran missions where they’d start you with a ton of minerals and gas so you’d not have to slog through that early game “BUILD ANOTHER GD PROBE NOW OH BOY WHAT FUN”. But welp. There you have it. I feel like of the three, mission structure here was actually the LEAST varied. Almost every single mission felt like “destroy x crystals”. Maybe I just imagined it but this isn’t a professional review so sue me. Then let’s talk about the voice acting. It was bad. It was horrible. I’m exaggerating. It did make me upset though. The reason for this is 1. Artanis had an extremely unique voice in brood war. Now he sounds like “generic tough guy voice 1" (Remember: “This isn’t warcraft in space”). 2. Every Protoss sounds the same. RACIST MUCH? yeah I guess, but if you put a blindfold on me and played zertul, tassadar, and artanis and then you were like WHO IS IT? I’d not know. They should have had the guy doing karax do Artanis he was closer to the original. Also they don’t look anything like how they used to. Also the whole purifiers thing was dumb. ugh. god we’re finally done with this story. Spear of Adun between mission stuff was ok. SOme parts of the story were interesting if not fleshed out as much as I’d like, whereas others were overexplained. Early game is similar for every single mission. 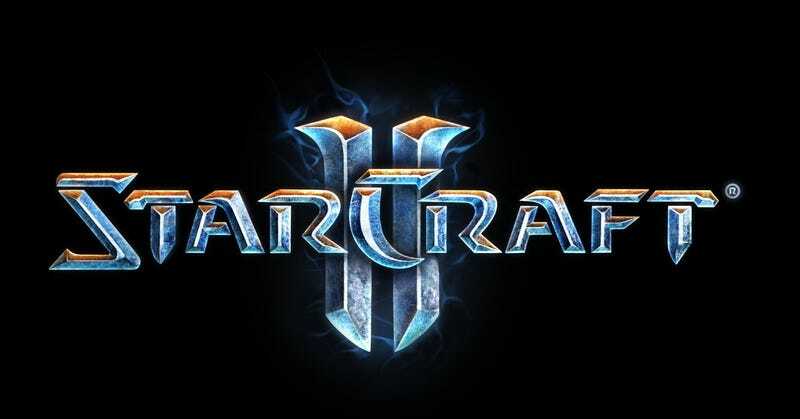 Overall I actually really enjoyed the game although if I had to pinpoint ONE THING I’d change it’d be that the game doesn’t really feel like starcraft. There are a lot of good missions and I’m glad they didn’t make every mission “Destroy all enemy structures” but y’know...I’d take a few of those? Like let me just make 1000 battle cruisers and then mow down everything in my path. Most missions had some kind of internal time limit whether it was “don’t let x die” or “get here before the island blows up” or whatever, which I get. You want to create a sense of urgency and for the most part it was done well but I’d have liked a few more missions that were just, here’s a nexus, here’s four drones, 250 minerals and 0 gas. Now expand, and conquer this map. Now I’m on to Elder Scrolls Online, the world’s most single player MMO.